Mighty Clean is Burke Virginia’s choice for Carpet Cleaning. 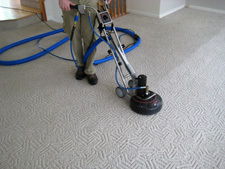 Our Carpet and Upholstery Cleaning process is second to none. We serve all of Burke and the surrounding areas. When you decide to hire a professional carpet cleaner, how do you avoid companies who do more harm than good? 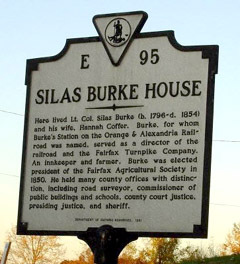 The area of Fairfax County known as Burke is named for Silas Burke (1796–1854), a 19th century farmer, merchant, and local politician who built a house on a hill overlooking the valley of Pohick Creek in approximately 1824. The house is still standing. When the Orange and Alexandria Railroad was constructed in the late 1840s, the railroad station at the base of that hill was named Burke’s Station after Burke, who owned the land in the area and donated a right-of-way to the railroad company. The community that grew up around the railroad station acquired a post office branch in 1852. 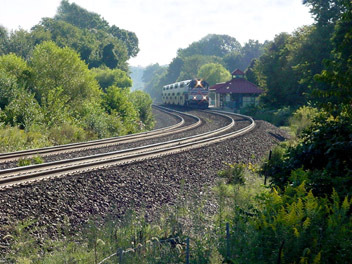 Currently, railroad tracks on the same historical line are owned by the Norfolk Southern Railway and form part of the Manassas line of the Virginia Railway Express commuter rail system, of which two stations lie in the Burke area. In 1951, the U.S. Civil Aeronautics Administration announced plans to condemn 4,520 acres (18 km²) of land in Burke to construct a second airport to serve the Washington metropolitan area. After a lengthy lobbying campaign by area residents, the government in 1958 selected a site near Chantilly, Virginia, which is now Washington Dulles International Airport, instead of Burke. The first large subdivision in the vicinity, Kings Park, was constructed beginning in 1960, and was followed by many others over the next two decades, converting Burke into a densely-populated suburban community. Burke Centre operates pools at each of the 5 community centers; there are also pools at the Burke Station Swim Club and the Old Keene Mill Swim & Racquet Club. All pools are membership based. Non membership pools are operated by the Fairfax County Park Authority 5–10 minutes from Burke. Along the boundaries of adjoining Fairfax Station, Burke Lake Park is an 888-acre (3.59 km2) park centered around a 218-acre (0.88 km2) recreational lake. The park contains a 4.5 mile jogging trail, campsites, numerous picnic and sports areas, an 18-hole par three golf course with driving range, a disc golf course, miniature golf course, boat rental, amphitheater, ice cream parlor, carousel, and miniature train ride.